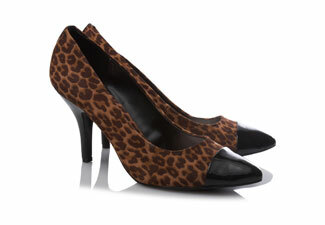 Q: I am looking for a pair of animal print court shoes that I can wear with a dress or trousers, but I don’t want anything with high heels and a platform. Have you seen any in the shops? A: I love this pair from George @ Asda are fabulous they are available in other colours as well as animal print and only cost £14.